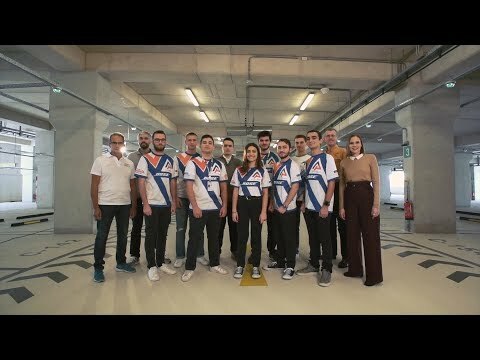 The Stavros Niarchos Foundation’s (SNF) support for F1 in Schools in Greece reflects three important ways in which the program’s goals dovetail with the Foundation’s mission. Though centered on a physics-intensive final product, the competition aims to inculcate a much broader set of skills. F1 in Schools use meticulously crafted miniature racing cars as vehicles for helping students hone skills in science, technology, engineering, math, business, marketing, and management. SNF seeks to support organizations whose work acknowledges the complex interplay of factors at play in social challenges. The Foundation’s mission includes four pillars—arts and culture, education, health and sports, and social welfare—but is intentionally broad in recognition that necessary work can’t be compartmentalized. Just as the skills grown through F1 in Schools are mutually reinforcing for participants, SNF seeks projects with synergies like this that multiply impact. F1 in Schools is structured to extend the impact of outside support in another way that resonates with SNF’s goals. SNF focuses on the long-term sustainability of projects. By asking teams to raise funds as an integral part of the competition, resources are more widely distributed and students gain lasting skills and experience. SNF supported teams at 25 public schools in Greece last year to encourage participation, but so as not to remove a key element of the competition, each team had to raise additional funds. Give a man the resources to build a tiny F1 car and he’ll race for a day. Teach a man to gain sponsors for his F1 car and he’s gained business savvy for life. SNF supports organizations working to increase access to knowledge and resources, and F1 in Schools makes some of the most valuable elements of an elite sport accessible to a broad population.